I met with Mauro Uliassi, the Chef who won 3 Michelin stars, 5 Cappelli Espresso, 3 Gambero Rosso Forks. Mauro opened the Uliassi Restaurant in Senigallia in 1990, creating a cuisine full of contamination, variations, sensations and memories. What will I always find in your home fridge? A priority on your cooking? The cunza, a mix of lard, garlic, parmesan and rosemary that often served on the gnocco fritto, fried dough parcels typical from The Emilia region in Italy. Taste it and you will feel sparks all over your body, but eat a maximum of a couple of times a year. Aphrodisiac.. but dangerous. You have to pay attention to food, both occasional and what is part of the habit. If you hadn’t been a cook? Probably a musician, I love the classical guitar. (Smiles). Pretty bad, I think I play better in my kitchen! Want to tell me about your recipe? I called it ‘Benvenuti al mare, Welcome to the sea . 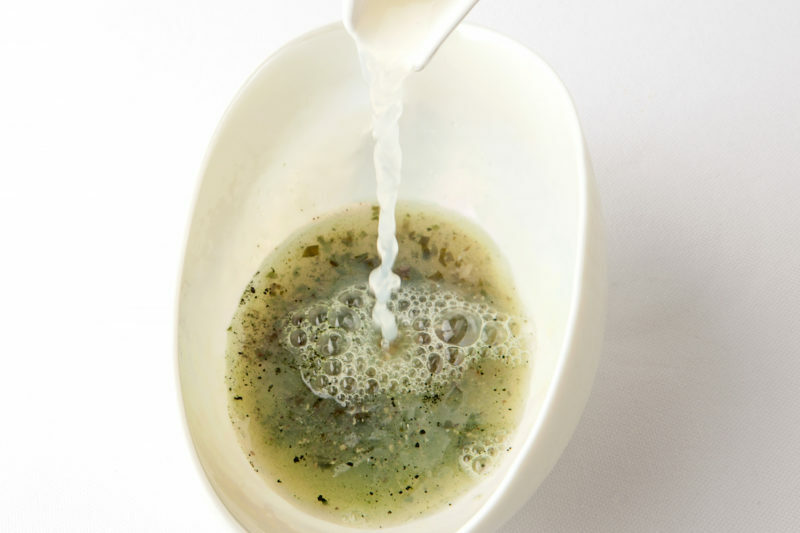 it’s an intense dish, enclosed in a shell-shaped mother-of-pearl bowl that releases the colors and smells of the sea through cuttlefish liver, seaweed puree (kombu, wakame, lettuce, string bean), sea, sea urchins and dried seaweed powder. Then It comes the water (the broth of clams that is poured warm), that modifies and concentrates the other ingredients. 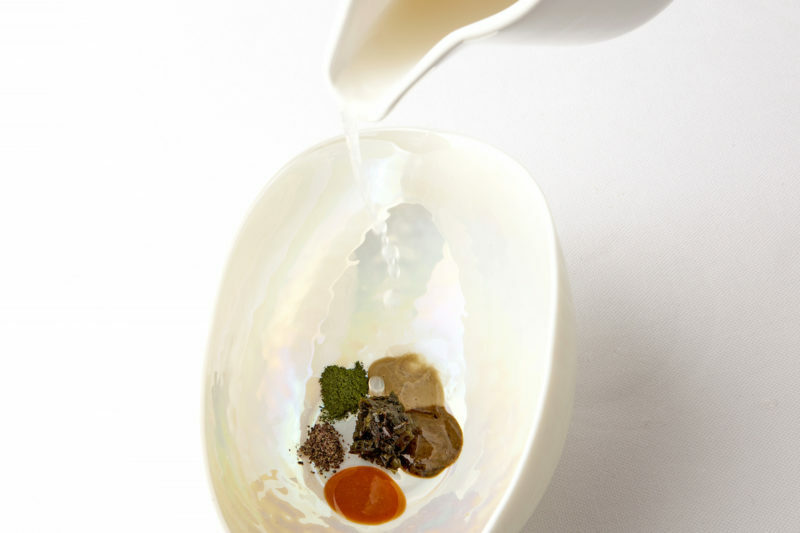 I pour it from a shell-shaped bowl and with this gesture the sea appears with its waves, its reflections and its flavors. It is an evocative dish, capable of affecting anyone who has been to the sea at least once in his life. It would be like being hit by a sudden wave, with strength and vehemence, like the first wave that swept us when we were kids. A small tip of chili pepper. Pour the oil with the garlic for 1 minute, add the clams and the ladle of water. Cook until the clams have released all their water. Filter, taste it. If it is too bland, you may add a pinch of salt, if it is too salty you may lengthen it with a little water. Place all the elements inside a shell-shaped bowl.